French champions saw second-half goals from Presnel Kimpembe and Kylian Mbappe beat Man United. 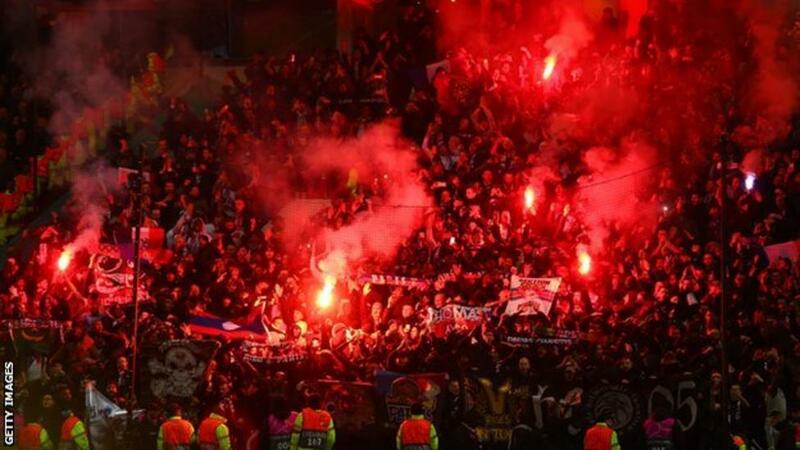 The case will be heard by Uefa's control, ethics and disciplinary body on 28 February. It is understood 800 seats in the visitors section were damaged in some way and netting that protects the disabled fans in front of the away section was ripped. Greater Manchester Police confirmed that no-one had been arrested but a man was removed from the stadium by stewards after a bottle was thrown onto the pitch. Some trams were also damaged which caused minor delays for supporters travelling to the game.